Home Columns	How Dangerous Can Mosquitoes Be In Our Day To Day Life? Mosquitoes are considered as one of the most dangerous creatures on the planet because they tend to spread many deadly diseases. There are over 3,000 species of mosquitoes in the world, which the most common, and most dangerous, are the various species in the Culex, Anopheles, and Aedes genera. 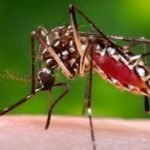 There are a number of people who fall sick and are killed by other mosquito-borne diseases such as malaria, dengue fever, yellow fever, lymphatic filariasis, Japanese encephalitis, chikungunya virus and West Nile virus. Mosquitoes are estimated to transmit diseases to more than 700 million people annually and some of these diseases can ravage livestock populations too. Mosquitoes may be small, but we should not be deceived by their size, these small insects can thrive and multiply in spite of conventional insecticide-based suppression strategies. And wherever we find mosquitoes, we can expect to find the diseases they often carry. They kill nearly three-quarters of a million people each year worldwide and sicken millions more. Malaria by itself is responsible for more than half mosquito related deaths in sub-saharan Africa. Only female mosquitoes bite as they need the amino acids from blood to develop and lay eggs. Male mosquitoes, on the other hand, use nectar as a source of energy. Transmission occurs when female mosquitoes bite an infected human and then transfer the pathogen through their saliva to the next person they bite. The presence of disease-carrying mosquitoes not only threatens public health, but in many cases negatively affects tourism, agriculture and travel. Global attempts to control the prevalence of these mosquitoes have also come with hidden costs, such as releasing toxic chemical agents that reduce biodiversity, kill pollinators and natural predators, and leave residues in the environment. Over time, this has resulted in growing public demand for environmentally-friendly and residue-free methods of mosquito control. Rainy seasons provide the perfect opportunity for mosquito-borne diseases to spread. 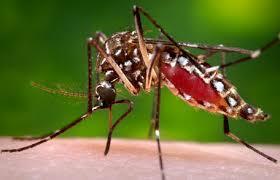 Mosquitoes use the hot, rainy seasons to breed in stagnant waters and proliferate into densely-populated regions. Lacking an established process to collect baseline data on disease epidemiology and vector dynamics, there is need to address this capacity gap. In Nigeria, failure of mosquito control programs have been attributed to biological factors like insecticide resistance, as well as to non-biological factors like poor implementation of mosquito control strategies such as failure to translate national goals into district level activities, failure to enlist trained entomologists into governmental mosquito control programs, and a lack of understanding of social norms and a society’s acceptance of mosquito control campaigns. Several mosquito control challenges exist in Nigeria. Biological challenges such as insecticide resistance and vector behavior are major obstacles in mosquito control. Moreover, mosquitoes may be adapting to new environmental conditions and pressures, necessitating the need for new mosquito control approaches. Increase in human population, the breakdown in municipal management, and increased pressure on resources in urban areas can have detrimental effects on a mosquito control program’s operational efficacy, and mosquito-prevention public works activities occurring in urban and rural environments. Additional challenges of managing mosquito control programs include insufficient funding, weak health infrastructures, limited skilled human capacity, and poor quality private sector services. All of which play a major role in the success or failure of mosquito control operations. The relative importance of these major challenges varies depending on the disease vector, socio-economic conditions of the area, management structure of the program, political will, and other site-specific issues. A holistic approach needs to be adopted by the Nigerian government in order to address the challenges of mosquitoes and mosquito borne diseases. In the health sector budget, this issue needs to be prioritized as the burden is getting worse as different diseases from mosquito borne are emerging. Africa has the highest burden of mosquitoes in the world and everyone has to join hands from the leaders, civil society organizations, media, private organizations and to the community members. Improved sanitation is also one of the key strategies.